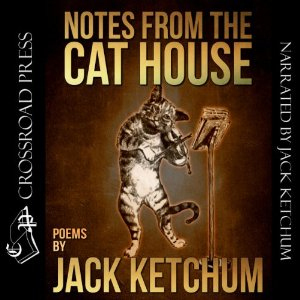 Notes from the Cat House features 60 over poems from the BramStoker-Award winning author. It is available in ebook format as well as audio, in which Jack himself reads all of them. Michou is dedicated to the artist Neal McPheeters and his wife Victoria, who did save Michou from the basement of a bar. Notes from the Cat House is available at Amazon.com, CrossRoad Press, and Audible.